Over 300 pairs of Sal's Shoes were distributed in a squatter camp in South Africa in July 2015 by http://www.winniemabaso.org. 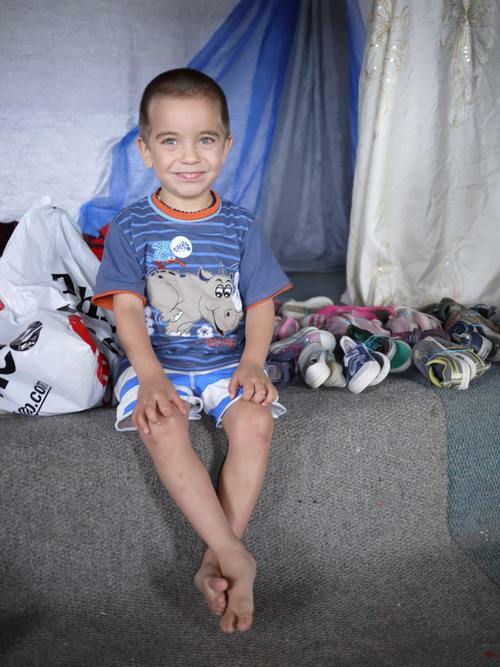 149 toddlers received a pair of shoes to take their first steps in . . . In July 2015 Sals' Shoes were distributed at Ilamula House, a home for vulnerable, abused and orphaned girls opened by http://www.winniemabaso.org in September 2014. In October 2016 another Sal's Shoes distribution was held. In October 2014 a collection of shoes donated by Alex, Emily, Katie and Jo, and some of the pairs donated by Delight and Shere Infant and Shere Nursery School were distributed at 2 orphanages in the township of Pienaar near Nelspruit in South Africa. Sal helped to distribute the shoes. In October 2016 a second Sal's Shoes distribution was held at a Saturday School. In June 2016 we delivered a consignment of shoes to http://www.spreadsomesunshine.com. 4 days later they were walking again some 8,000 miles away in South Africa at the pre-school run by http://www.winniemabaso.org. The 18th July is Mandela Day. As well as celebrating Nelson Mandela’s life, the day is also a global call to action for people to recognize their ability to have a positive effect on others around them in honouring Nelson Mandela's legacy and his values through community service and volunteering. The day hopes to inspire people to embrace the values that Mandela shared. Sals Shoes were delighted to play a part during Mandela Day in Cape Town in July 2016. The shoes we collected in-country at http://www.bonhotels.com/our-hotels were distributed by http://ram1.co.za/ : a not-for-profit primarily seeking to alleviate poverty in the Rural Western Cape areas by supplying institutions, the elderly and children with resources to meet their shortfalls. Sal's Shoes were distributed to the neediest children, those who came barefoot. Christelle, one of RAM's members, who was helping to man the event, distributing clothing, blankets, Sal's Shoes, food parcels, bread, soup and sweets, deserves a particular mention for coming across a mother who had found shoes for her two barefoot children on our stall but was not wearing any shoes herself, Christelle took off her own pair of shoes and gave them to the mother. With the help of http://www.thefootprintsfoundation.co.uk and http://www.winniemabaso.org in July 2016 Sal's Shoes football boots found their new owners amongst the U11 & U13 teams at Meadowlands Academy in Soweto, South Africa. The Academy plays in the SA Third division with 150 players from all age groups. If you sent us a pair of school shoes adult size 1 - 6.5 during the last week of July 2016 or the first two weeks of August 2016, your shoes have just gone back to school [September 2016] with the help of http://www.spreadsomesunshine.com & http://www.winniemabaso.org on the feet of these schoolchildren who all live in the squatter camp of Meriteng in South Africa. Many were going to school without a uniform and barefoot. Supporters of http://www.winniemabaso.org provided the uniform and you provided the Sal's Shoes. In October 2016 Sal's Shoes were distributed at the Cool Cats Day Centre. n October 2016 Sal's Shoes were distributed at Betty's Haven, an orphanage in Nelspruit. In October 2016, http://www.littlekickers.co.uk ran a month long Sal's Shoes collection across all their classes nationwide in the UK, Cyprus and South Africa. Sal's Shoes collected in the Johannesburg Little Kickers classes were distributed by http://www.winniemabaso.org this morning in Meriting Village. Thanks to your donations of pre-played in football boots http://www.salsshoes.com/back-on-the-pitch/ and the help of http://www.carryon4babies.org, these young players at http://www.mcmsa.org.za in Paarl, South Africa, all received a pair in January 2017. MCM Miqlat encourages street sport amongst gang-ridden communities teaching the local children how to play alongside one another and not fight against each other. At the end of 2016 http://www.littlekickers.co.za/signup.aspx hosted an in-country collection. 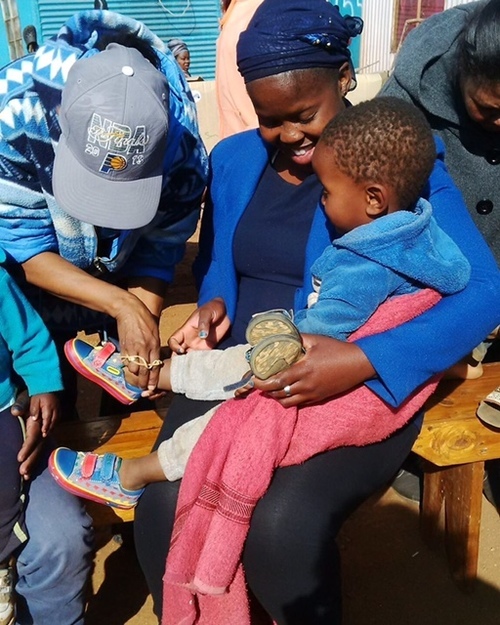 The shoes collected in and around Cape Town found their new feet amongst young attendees from rural areas at an outreach event hosted by http://ram1.co.za in January 2017. Most children who received a pair of Sal's Shoes were either barefoot or wearing a pair of shoes at least two sizes too small. In February 2017, http://www.salsshoes.com/back-on-the-pitch/ football boots are back playing on the feet of the U-9 and U-13 football teams at the Meadowlands Football Academy in Soweto, South Africa. To all those young footballers who send us their pre-played in boots, some of them got http://www.salsshoes.com/back-on-the-pitch/ in Soweto, South Africa with http://www.thefootprintsfoundation.co.uk and http://www.arsenal.com/home in March 2017. 4 year old Taya and her mum spent a morning volunteering at Sal's Shoes HQ . . . in April 2017 they went to Cape Town, South Africa to find new feet for a whole lot of Sal's Shoes 👣 with http://www.ram1.co.za and http://rainbowtrust.org.za. In June 2017, thanks to http://www.thefootprintsfoundation.co.uk we found new feet for wellies and sandals to protect during the wet and dry seasons in South Africa amongst these young superheroes at http://www.ilamulahouse.org; a loving home run by http://www.winniemabaso.org for 20 girls predominantly orphaned, abandoned, vulnerable or abused. Thanks to http://www.thefootprintsfoundation.co.uk & https://www.arsenal.com, in September 2017 Sal's Shoes Back on the Pitch initiative ⚽️ kitted out the girls football team in the township of Pienaar, in Ehlanzeni District, Mpumalanga, South Africa. In September 2017 new feet were found in Meriting, South Africa with http://www.winniemabaso.org. 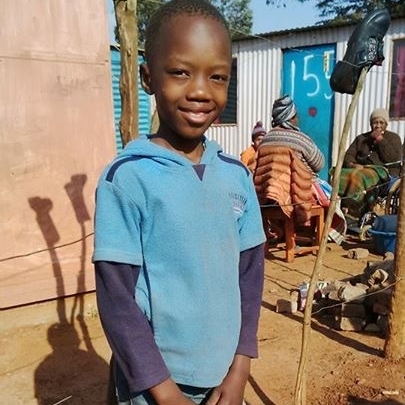 Thanks to http://www.thefootprintsfoundation.co.uk, Sal's Shoes football boots went back on the pitch in South Africa in October 2017 at the Meadowlands Football Academy in Soweto. In October 2017 Sal's Shoes went back on the rugby pitch 🏈 at the Soweto Rugby School Academy in Soweto, South Africa thanks to http://www.thefootprintsfoundation.co.uk. Thanks to http://www.thefootprintsfoundation.co.uk, in October 2017 Sal's Shoes went back on the rugby pitch in South Africa with the girls team at Letsibigo High School - part of the Soweto Rugby School Academy. In November 2017 Sal's Shoes found new feet in South Africa at the pre-school run by http://www.winniemabaso.org. Sal's Shoes found new feet in Meriting Village in South Africa with http://www.winniemabaso.org. Feet in shoes are protected feet; feet protected from injury and infection. In July 2018, we are now in the fortunate position of, shoes aside, being offered lots of other delightful, practical and useful things free to a good home. Whilst we predominantly find new feet for preloved children’s shoes occasionally we feel compelled to make exceptions. When we were in South Africa in October 2018, we were fortunate enough to spend time with all the grannies supported by http://www.winniemabaso.org [WM]. HIV/AIDS has had a dramatic impact on the social structure of the township where they live. Once upon a time the elderly would have been cared for by their children, but sadly they have passed away and it is now left for the grannies to bring up their grandchildren.